john4jack (Corvallis, Oregon, United States) on 9 December 2013 in Documentary & Street and Portfolio. What a great place to have a Pueblo. Un sitio estupendo con las montañas de fondo. Superbe endroit, très belle lumière. Indeed, great place and great shot! Nice john4jack love the warm colors here. Very nice scene here John. 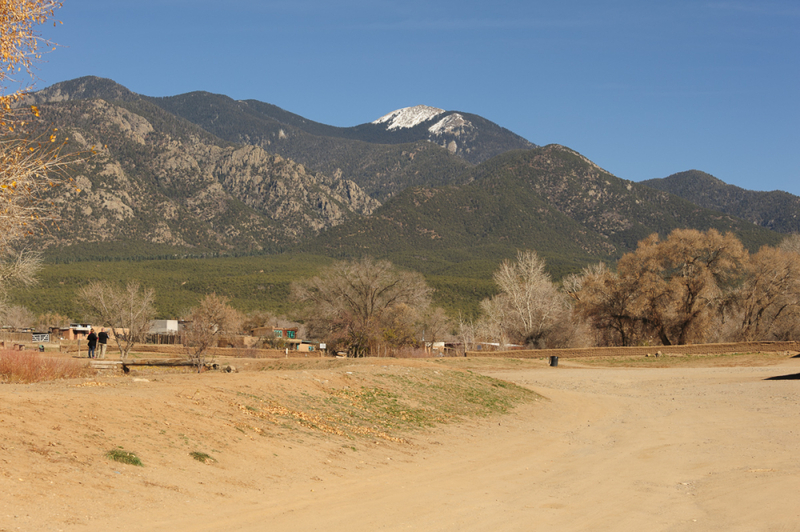 I like the combination of pueblo-type terrain and the mountainous area behind. Fine shot. What a beautiful view to surround you with!! Great capture! I love the rolling foothills ... the two people standing to the left of the frame really adds scale and perspective to this. Beautiful landscape view, peaceful place ! Beautiful scene - looks dusty. I like the snow topper in this otherwise arid looking scene.